Today has just been such a nice day. 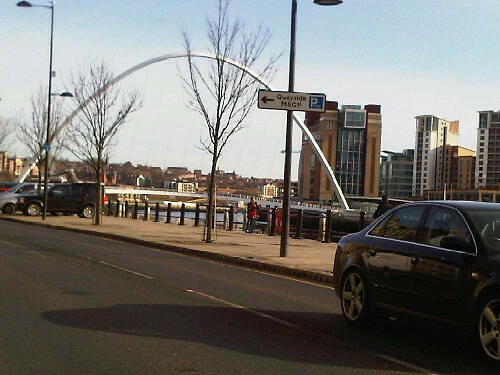 Decided to go for a drive on the quayside this morning before going into uni. It was still pretty cold but so sunny. I just parked up and got myself a little coffee. It felt nice to be relaxing after a pretty busy weekend celebrating a friend’s birthday down in Nottingham. I am loving the strong sun cutting through the freeze most days. It's one of the best kinds of weather. that qoute just goes to show why i adore audrey hepburn! she was so much more than just a style icon! and haha nothing like a relaxed weekend after a busy week!btw the picture looks quite nice(i cold've sworn it was taken from a normal camera)!